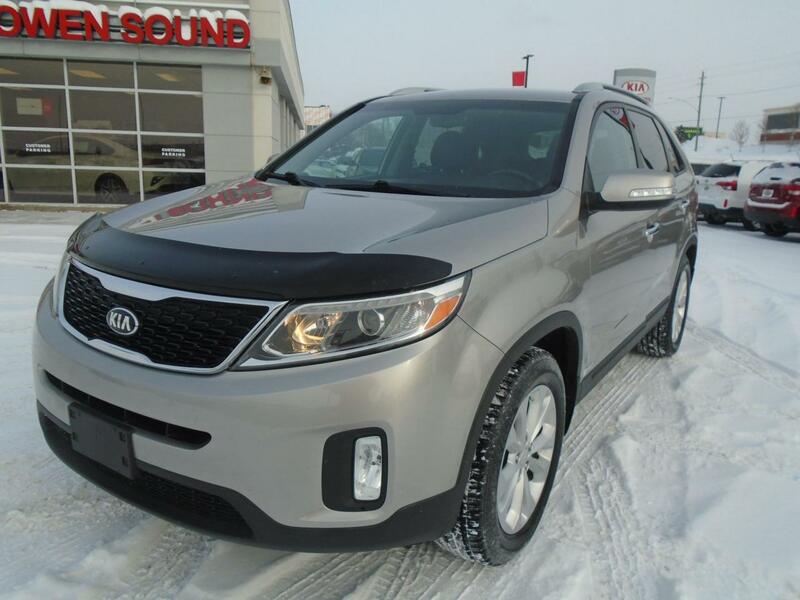 This 2015 Kia Sorento is for sale today in Owen Sound. 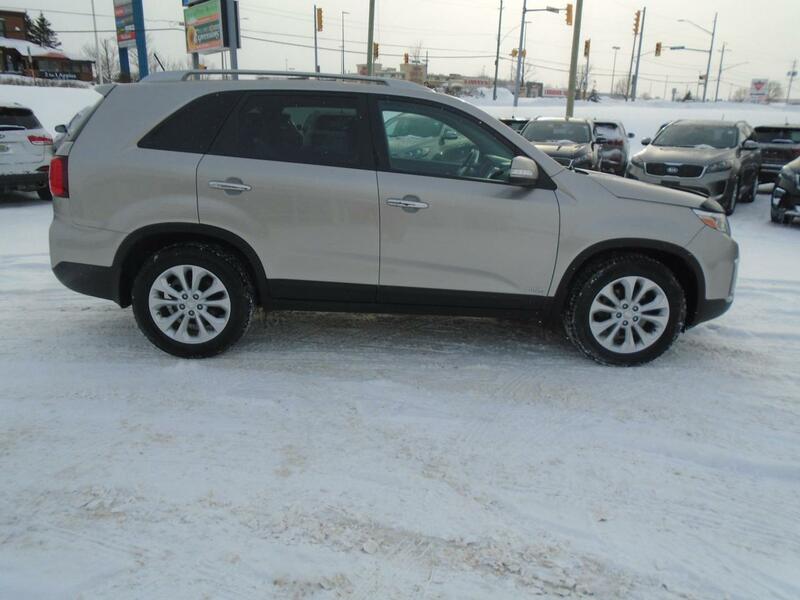 The Sorento has been designed with a wide stance and a long wheelbase to provide a more versatile cabin. 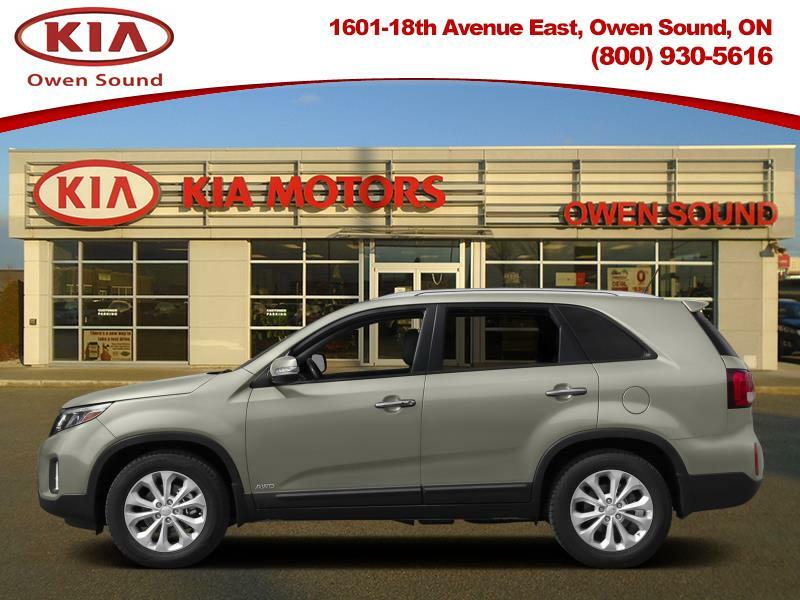 The Sorento's advanced safety systems have also been designed to help give you peace of mind every time you drive. Each feature has been engineered to help you maintain control while driving. The best part is that these systems were programmed to function automatically, leaving you free to focus on the road ahead. This SUV has 59897 kms. It's satin metal metallic in colour. It has a 6 speed auto transmission and is powered by a 290HP 3.3L V6 Cylinder Engine. It may have some remaining factory warranty, please check with dealer for details. Buy this vehicle now for the lowest bi-weekly payment of $130.31 with $0 down for 84 months @ 5.00% APR O.A.C. ( Plus applicable taxes - *Financing and term to be certified by Dealership (DEMONSTRATION ONLY) ). See dealer for details. Good Price- $351 BELOW avg.